The United Nations System-wide Gender Parity Strategy sets targets for equal representation of men and women in the United Nations, and also advises on recruitment and retention practices. All secretariat units have developed their own implementation plans for the strategy, setting objectives for themselves to achieve parity at all levels. This strategy is being implemented alongside wider UN reforms that deal with the UN’s management system, and reconstituting its development and peace and security pillars. These reforms are intended to improve the efficiency of the UN as a whole, and to also adapt, and respond effectively, to the issues that are occurring in today’s world. So what is the Gender Parity Strategy, and how does it relate to these other UN reforms? 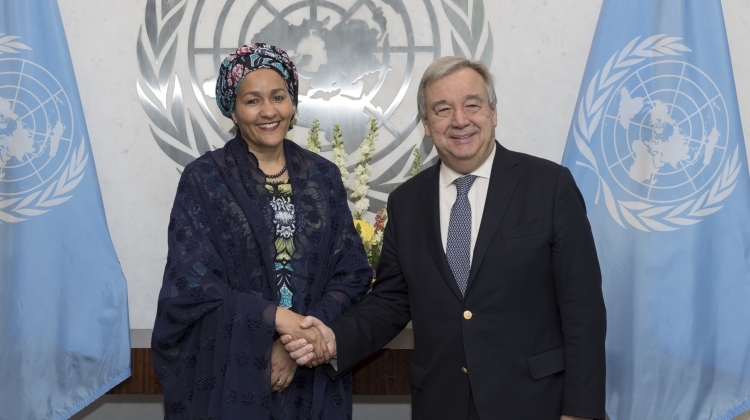 When Secretary-General (‘SG’) António Guterres made his oath of office in 2017, he made it clear that achieving gender parity was a top priority, saying, ‘Management reform must ensure we reach gender parity sooner rather than later.’ This demonstrates that he envisioned gender parity as part of his wider effort to reform UN management systems, creating an early conceptual link between his Gender Parity Strategy and what we now know as the UN reforms. He pledged that by the end of his time as SG, full gender parity will be reached at the Under-Secretary-General and Assistant Secretary-General levels. In July 2017, he presented to the General Assembly a report entitled, ‘Improvement in the Status of Women in the United Nations System,’ , in which the SG emphasized the importance of the heads of all entities coordinating with UN Women on the development and implementation of policies and measures in order to progress towards gender parity. Following an election with particular attention to gender and female candidates, the SG from the very beginning of his tenure has made sure to prioritize and promote gender equality. Yet in his flagship initiative, the UN reforms, the terms, ‘women,’ ‘gender’ or ‘gender parity’ are not mentioned in any of the foundational resolutions. This is particularly surprising given that the SG had stated that UN management wouldn’t be complete without gender parity, and given that management essentially deals with the way in which the UN runs, as well as how the UN recruits and retains personnel. In terms of how the reforms are publicized and explained to the public, the Gender Parity Strategy is included on the same UN site as the latest reforms, United to Reform, but is set apart from the three other streams of change, Management, Development and Peace and Security. It may be separated from the others to demonstrate that it is a separate line of work, while connected to the overall goal of a modern and efficient UN, and perhaps to ensure it is granted sufficient attention. However, one would think it would be beneficial if connections between this strategy and the reforms were more explicit, both for the implementation of this strategy, and the ability of those outside the UN to properly understand it. The concept of gender parity in the UN is not a new idea. The Group of Friends for Gender Parity have been pushing for this aim since 2016. The Group of Friends for Gender Parity emerged from a campaign calling for a female Secretary-General. Their goal is to promote gender parity, and female leadership. When Guterres was appointed, their efforts could have influenced the SG in introducing the Gender Parity Strategy for the UN. While the Gender Parity Strategy functions outside of but connected to the UN reforms, it shares the objective of achieving a more modern UN. However, the successes or failures of these reforms will have some form of impact on the strategy, given the overlaps on gender with development and peace and security initiatives, as well as human rights. If one would like to read more on what the Universal Rights Group has produced regarding gender, then this and this should be of interest. To learn more in relation to the Gender Parity Strategy, and the UN reforms, this and this will be helpful. Featured photo: Originally featured in Secretary-General launches UN system strategy on gender parity on UN.int.